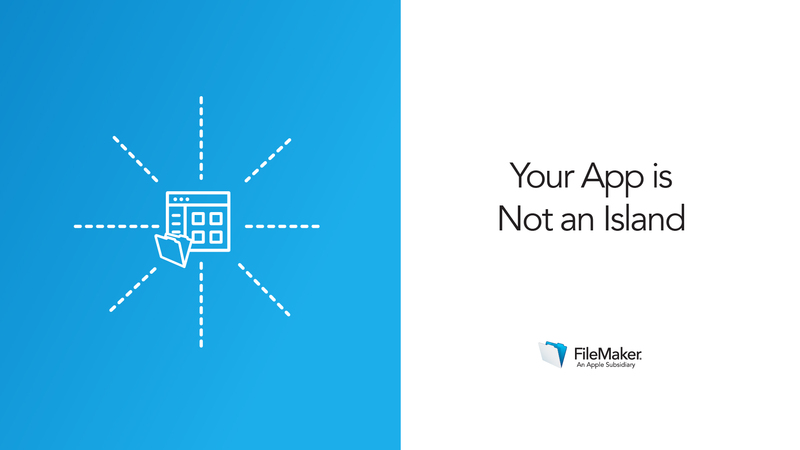 With FileMaker Pro Advanced, you can create a custom app to do just what your business needs. But what if you have other apps you already depend on? Maybe you handle accounting in an off-the-shelf app. Perhaps you regularly pull data from the web to populate some fields in your system, like international exchange rates or shipping status. What if you could program your FileMaker app to talk to these other sources, so you could complete all of your work without leaving your app? The FileMaker platform offers many options for how to integrate your custom app with other data sources. The integration technique you choose will depend on which type of data source you want to connect to, and (what type of connection you need). The two videos in this lesson will help you think through where an integration may be helpful for your own app. It will also give you an overview of the different techniques available to you on the FileMaker platform. Users regularly have to hop between apps to accomplish the day's work. Bringing these outside tasks into your app can help your users get busywork done more quickly, so they can focus on more important items. Considering an integration can be confusing. If you know which technique best fits your needs, you can focus your development in the right direction. This video will help you understand the concepts of integration, and give you ideas for how you might benefit from integrating your FileMaker app with outside apps or data sources. 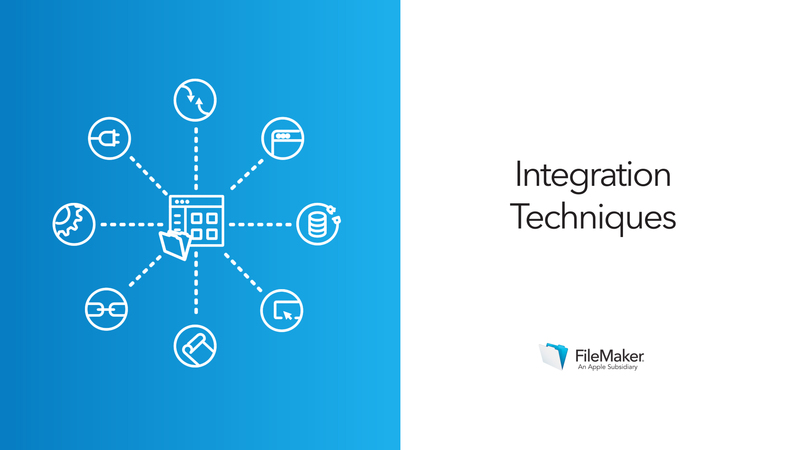 Learn about the different integration approaches available on the FileMaker Platform.